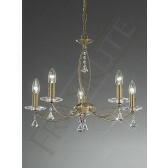 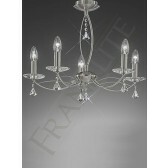 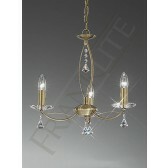 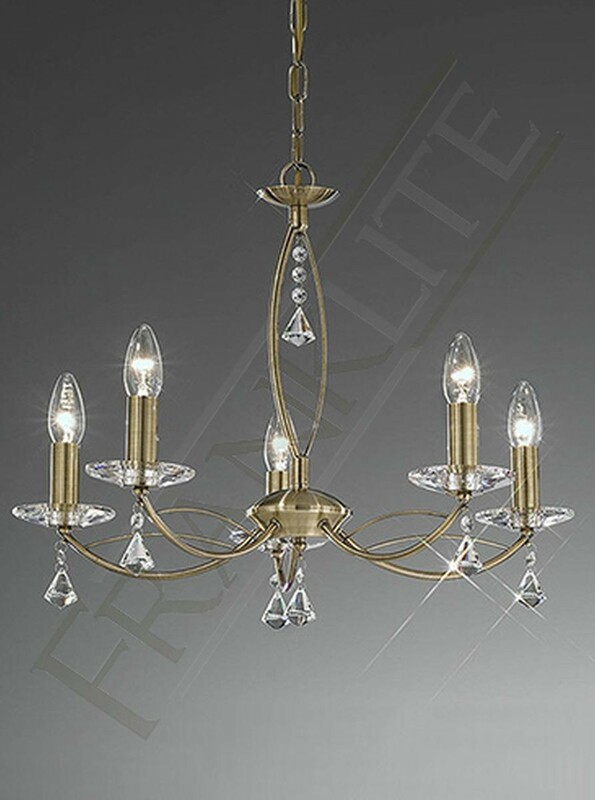 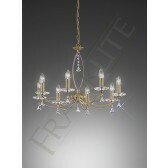 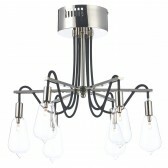 Additional to the Monaco range from the inspired designs by Franklite features this 5 light chandelier ceiling fitting, with a beautiful bronze finish showing fine crystal glass sconces and faceted drops. 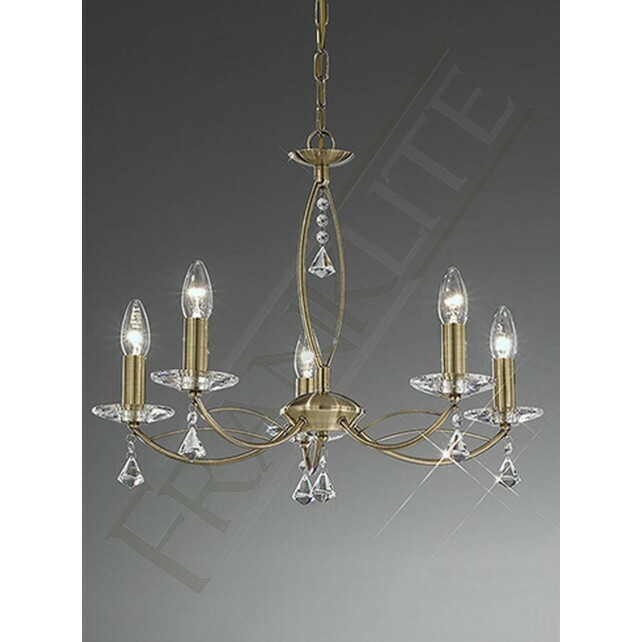 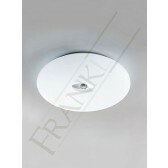 The ceiling fittings are supplied with chain suspensions but can easily be converted to flush fitting which are, suitable for lower ceilings. 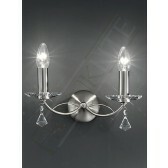 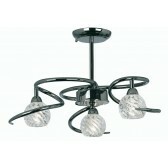 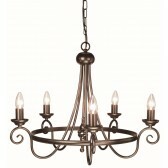 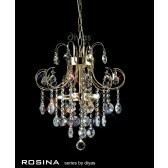 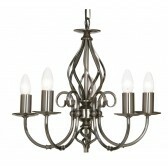 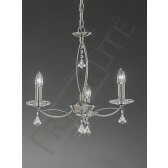 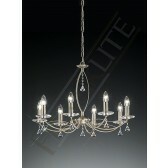 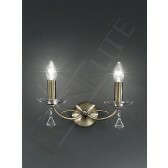 Would be ideal a part of your living room as a beautiful centerpiece or hanging above the dinner table.